We must take steps to move forward. 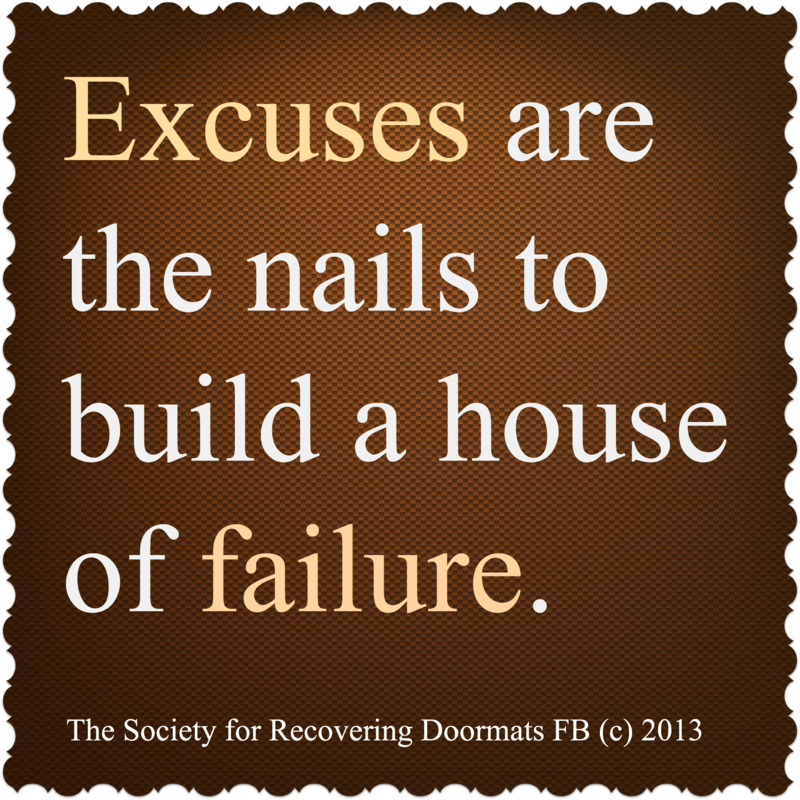 Excuses will keep us stuck. Make no excuses for yourself or for others. Standing up and speaking out for all of us here at The Society for Recovering Doormats. Thanks so much. 🙂 Rose G.